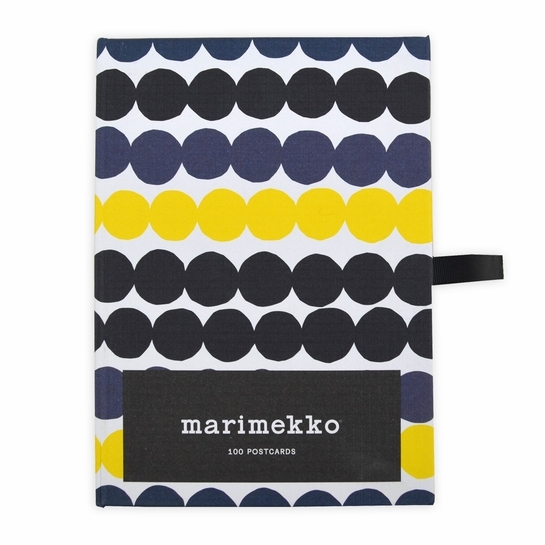 More about Marimekko Postcards (Set of 100) Handwritten correspondence is become a rarity these days; surprise a loved one or a client by sending a Marimekko postcard. 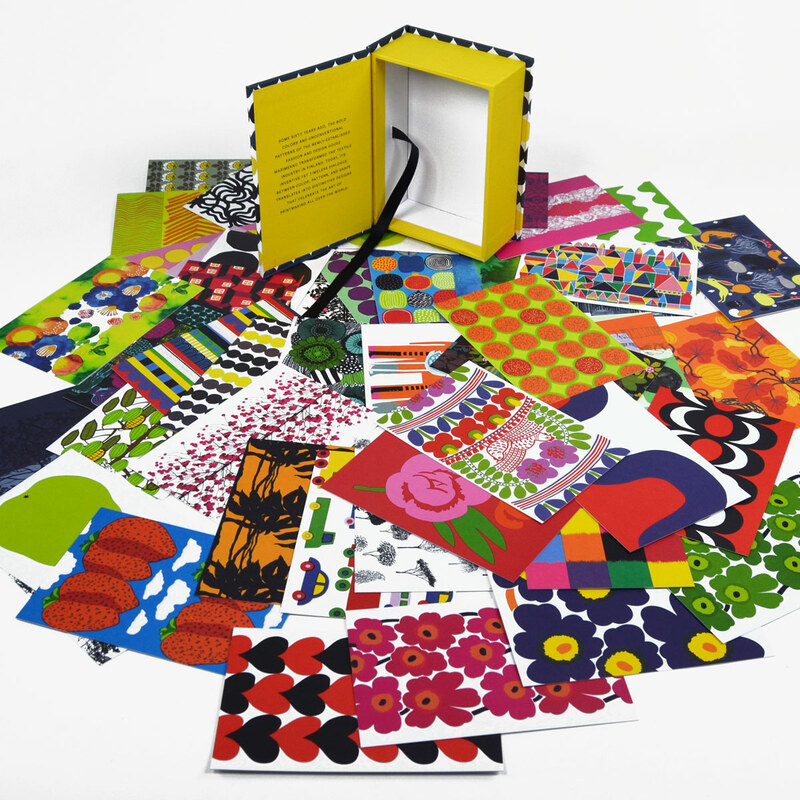 The boxed set features 50 different designs, each repeated twice. The variety of colorful and iconic designs will allow them to fit every occasion. The bold print fills one side, while the other side is blank apart from a short description of the artwork it features. Use the distinctive cards as postcards, gift tags, special occasion notes and more. 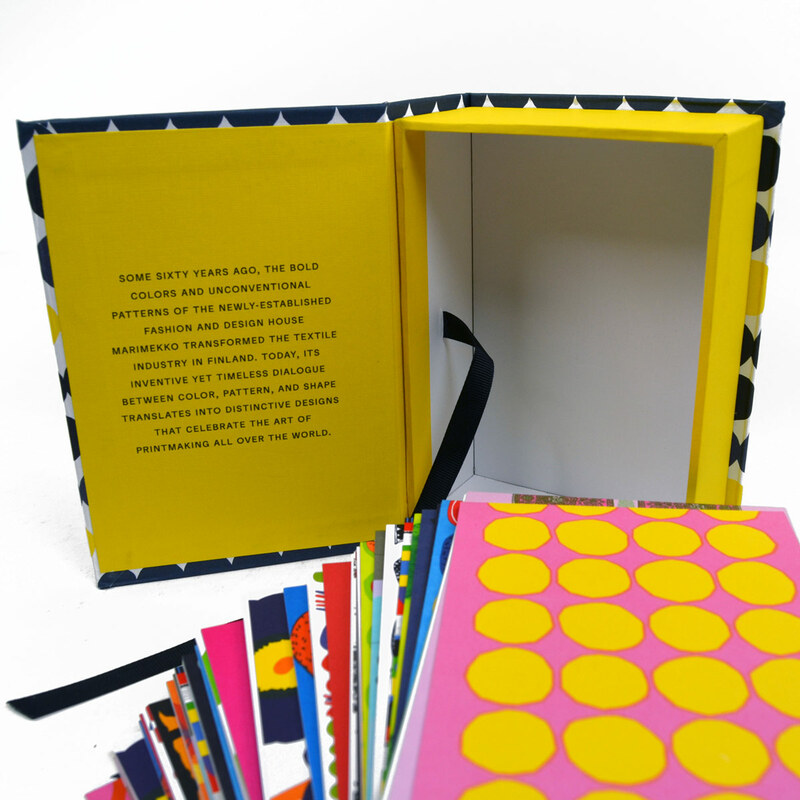 The Rasymatto-printed box lid opens like a book cover, and inside the box is a place-holding ribbon. Love the colorful patterns. All unique and fun. If youâ€™re a fine paper aficionado you will love this box of Merimeko design postals. The quality of the paper and clarity of designs is stellar. It gives me much pleasure to write a note and share their beauty with the recipient. Kudos to Finn Style for their quick shipping and excellent packaging. The aesthetically pleasing box of notes arrived in perfect gift giving condition though I am keeping them for my pleasure. Quality cards with bold and interesting designs. The moment I saw these I was about to purchase them when I was surprised with this as a gift from my family. These postcards make a great substitute for greeting cards or with presentation together with presents. It sure makes the gift stand out, excellent also for a get well card! 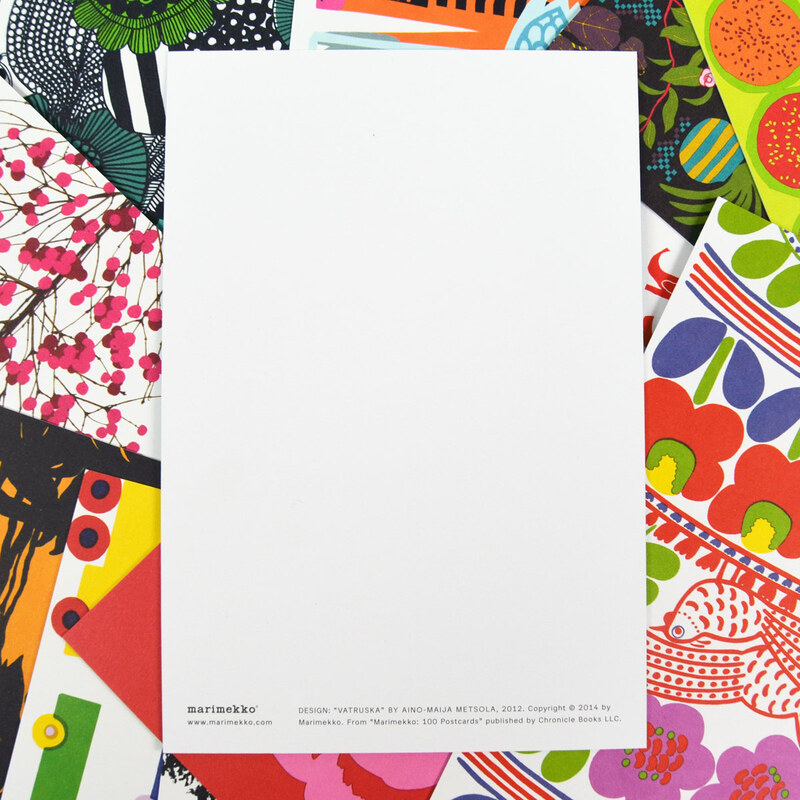 These postcards allow you to enjoy several patterns, and share them with other people. ProsBright, colorful, fund to send and fun to receive. Cons100 is a lot...a lifetime supply. It would be good to have an option for a box of 50, or even 25. The postcards are better than I had imagined...I love the plain white back so they they Dan be used as postcards,notecards and put into an envelope or with the help if a hole punch and a ribbon they can make a wonderful big tie on ! This is an amazing deal--100 cards for this price. I've already used two for wedding gifts and will see great uses for others. Once I saw what I got, I thought immediately, "What a deal!" My wife loves these postcards. She heard about them from friends and when I went to the website the friend has ordered them from I was informed that the supply had been sold out. Your web site was a life saver and she enjoyed getting them as a surprise Christmas gift. ProsFas service. Web site very easy to use.